JOANNEUM RESEARCH is a non-profit organisation concentrating on applied research with a highly qualified staff of more than 400 people. Services include specifically geared research tasks for small- and medium-sized companies, complex interdisciplinary national and international assignments as well as tailored techno-economic consulting. They participate in setting up and organizing national competence centres as well as in numerous large international projects. The DIGITAL Institute for Information and Communication Technologies (http://www.joanneum.at/digital) specialises in web and internet technologies, image, video and acoustic signal processing together with remote sensing, communication and navigation technologies. These technologies are implemented in hardware and software development and application-oriented solutions using scientifically state of the art methods. The institute has participated in more than 100 EC and ESA funded projects since the Third Framework Programme. CURE is one of Europe’s leading organizations in the area of Human-Computer Interaction (HCI), User Experience Research, User Interface Design, User-Centred Design, Usability Engineering, and Next Generation Interfaces. Since 1999 CURE acts as an independent, non-profit research organisation. CURE comprises a highly interdisciplinary team with diverse skills, assembled from a variety of disciplines such as computer science, psychology, sociology, anthropology, didactics, design, communication science and management science. The goal of CUREs work is to align computer technologies to the needs of people in the most suitable way. CURE applies and introduces a wide range of methodologies to analyse and design for the right usability and the optimal user experience (UX) to embrace the users’ social, emotional and ergonomic requirements. CURE is equipped with leading-edge user experience research laboratories comprising the full range of the most advanced research and technology demonstration facilities. The laboratories have been set up to support the entire development cycle of applications, services and products. All lab rooms are connected and thus allow various and flexible studies and observations. These include precise usability & user experience tests (e.g. web, software, mobile systems, experience rooms) under controlled conditions and observation, context-specific studies (e.g. home media), physiological measurement, outdoor studies, focus groups, eye tracking, mouse tracking and clickstream analysis, and rapid experience and interface prototyping. Athens Information Technology (AIT, http://www.ait.edu.gr), an internationally-renowned education and research center in the fields of information technology, telecommunications, and innovation management, was founded in 2002 by the INTRACOM group of companies. To that extend AIT has been collaborating with Carnegie Mellon University (CMU) and the Information Networking Institute (INI) of CMU to offer a joint Master in Information Networking (MSIN). A second collaboration with Aalborg University and the Center for TeleInFrastruktur (CTiF) resulted into a joint PhD program. AIT has strong relationships with the global IT and networking industry, as well as with the major IT and telecom industries in Greece. The last three years AIT has signed 34 research contracts, 11 of which are industrial contracts and the rest are contracts with the European Commission (19 currently running projects), the European Defense Agency and the Greek Secretariat for Research and Technology. The relevant budget amounts to 8MEuro. The research work is performed by 40 academics and supported by a properly staffed Project Office. AIT participates in CREATURE through its Autonomic and Grid Computing Group (AGC). Research at AGC relevant to the project is in signal processing, especially extracting context from image, sound and video. AGC research is carried out in a state-of-the-art laboratory that integrates visual and time-of-flight cameras with microphones in an environment for audiovisual processing and application-building. Research results in this field have been published in numerous journal publications and have been featured in regional and international media and events. The mission of the Fundació per a la Universitat Oberta de Catalunya (UOC) is to provide people with lifelong learning and education opportunities. The aim is to help individuals meet their learning needs and provide them with full access to knowledge, above and beyond the usual scheduling and location constraints. IN3 (Internet Interdisciplinary Institute) is UOC’s interdisciplinary research centre. It studies the adoption and use of Information and Communication Technology (ICT); its effects on people, organisations and society; as well as its economic, social and political implications; and the influence such technology has on the changes taking place in the move from the industrial to the information society and the knowledge economy. Migration and Network Society research program: The current migration patterns can only be understood in the context of a globally connected world. This connection entails constant and intense communication flows and networks. Communication becomes a core element between origin societies, potential migrants, host cultures and migratory networks. The major aim of the MNS program is to analyse the effects of interconnection on migration and, more specifically, the role of IT and communication networks in migration contexts. A typical topic for this program will be ICTs as a source of new opportunities for immigrants. The Open University defines its mission as “open to people, places, methods and ideas”. It promotes educational opportunity and social justice by providing high-quality university education to all who wish to realise their ambitions and fulfil their potential. Through academic research, pedagogic innovation and collaborative partnership it seeks to be a world leader in the design, content and delivery of supported open and distance learning. Its many initiatives, including “Open Research Online” (which makes available the research output of its staff to wider publics), “OpenLearn” (which makes available its world renowned teaching materials, some of which are produced in association with the BBC, to wider publics) and “Cloudworks” (a social networking and knowledge sharing site) demonstrate the Open University’s leadership in innovative knowledge production and dissemination. CREET (the Centre for Education and Educational Technology) at The Open University is one of the leading education research units in the UK. It is an internationally respected centre of excellence, pursuing innovative and rigorous research that influences policy and practice. CREET research is multidisciplinary and is united by: a focus on learning through diverse media in a wide range of social, cultural and disciplinary settings; a radical, challenging approach to established orthodoxies in policy, pedagogy, theory and research methods; a major thread of socio-cultural theorising across four themes, two of which are ‘technology enhanced learning and pedagogy’ and ‘literacies, applied linguistics and languages’. Researchers in the university’s Institute of Educational Technology are members of CREET. The Institute also houses an Ambient Technologies Lab, which includes state-of-the-art facilities for usability and accessibility studies, and for building pervasive learning scenarios, with the help of specialist support staff. The Serious Games Institute was set up at a time of step change in the consideration of games technologies, computer modelling simulations and the use of digital interactive media to support non-leisure-based activities. At a time of rapid changes in the uses of these relatively new technologies it is important to accompany forays into using these more socially-based technologies with timely research and development. The Serious Games Institute Research & Development Group is providing leading edge research and development in support of a wide range of serious games applications and virtual world technologies. Current research is focusing upon applications in the areas of health, education and environment. Research is focusing upon comparisons between traditional and game-based learning approaches, integration of artificial life technologies, modelling and visualization work, new uses for games technologies, and testing new multimodal interfaces. The Research & Development Group provides a focus for the research and development community in the UK and aboard through creating new links between research groups and collaborating on leading edge research projects, as well as stimulating opportunities for bringing together researchers from psychology, computer science, education, creative media and other disciplinary backgrounds to fully explore the uses and applications of serious games. The Research Group also supports and develops a network of the research, development and user communities with special interest groups in health training, education, schools, environmental training and awareness and team-based training. The Research & Development Group disseminates its findings to the West Midlands community through seminars, targeted publications and reports. SGI papers have been accepted at top conferences such as IEEE, ACM, SIGGRAPH, and at top journals with high impact (see Publication Section). Our research strengths have enabled us to receive over £2.5 million between August 2007 and October 2009. SGI is involved in a variety of projects that are focused into the different application areas of serious games and virtual worlds. The Center for Machine Perception is a research and educational unit within the Department of Cybernetics, Faculty of Electrical Engineering, the Czech Technical University in Prague ( established in 1707). It has approximately 40 staff members and 20 full-time PhD students. Its main research topics are computer vision, pattern recognition, machine learning and robotics. The Center is involved in EC funded research projects (Maseltov, Darwin, MASH, CloPeMa, HUMAVIPS, NIFTY), three national centere of excellence and a variaty of basic and applied research projects. CMP was part of MIRACLE (Machine Intelligence Research and Application Centre for Learning Excellence) within the highly selective EU “Centres of Excellence” framework from 2000 till a 2004. Among the scientific awards its members received are the second place in the Vision Contest on “3D location estimation from uncalibrated 2D images” at the International Conference on Computer Vision (ICCV 2005), two Best Science Paper Prices at the British Machine Vision Conference (BMVC) in 2002 and 2005, the Best Paper Honourable Mention at the Computer Vision and Pattern Recognition Conference (CVPR) in 2003, and the Best Paper Prize at the Asian Conference on Computer Vision (ACCV) in 2007. CMP has had a number of successful long term research collaboration with high-tech companies (e.g., Hitachi Honeywell, Oxford Metrics, Robert Bosch GmBH, Samsung, Boeing, Texas Instruments, IBM), includeing long-term ones e.g. Toyota Motor Europe (9 years). FH JOANNEUM supports and promotes the expansion of applied R&D for continuous professional improvement of education while maintaining the practical relevance. The highly qualified and experienced staffs of the FH JOANNEUM are substantively involved in numerous research projects and continuously generate knowledge for the university, industry and society. Research questions on the future are operated in a multi-disciplinary process and in cooperation with partners from business, industry and public institutions. Against the backdrop of transnational partner networks and consortia of universities and companies they challenging their expertise the partners, especially small and medium enterprises in the planning and implementation of product and process innovations. The know-how from the research will be incorporated into teaching and serving our University of Applied Sciences as a basis. This is also for our students, who are already involved in early research projects, study career-based and practice-oriented. The course driven Sections “Health Care Engineering” and “eHealth” research in a joint R&D-center on current topics of the department of health sciences and medicine of tomorrow. The operational focus will lie on the one hand, in the areas of technology for health care, information and communication systems and other areas are the logistics, process, project and quality management, controlling and management in health care other priorities. In addition, the e-health research experts in software development for medical devices and ambient intelligence in the area of Ambient Assisted Living (AAL). In the research focus on “Public health and health systems’ will explored problems and issues in the areas of health economics, public health, health care and health promotion as well as health products and services. The connected centre of excellence “ZML-Innovative Learning Scenarios ” conducts applied research on eLearning in national projects in the fields of virtual simulation, virtual communities, innovative learning materials and research and working with international partners in innovative projects and more to communities of practice, knowledge transfer through online courses. The Telecom Italia Group is a major Italian enterprise and a key European strategic ICT player. Driven by technological innovation and a commitment to service excellence, TI companies operate in fixed-line and mobile telecommunications, internet & media, information technologies. Most of the R&D activities of the Group are performed inside the Innovation and R&D Departments of Telecom Italia and involve around 4500 researchers and technicians with an average investment of 650 M€ per year. Telecom Italia Lab is the department whose remit is the supervision of technological innovation for the Group, scouting for new technologies and engineering operations for services and network platforms. The work carried out by the R&D departments is the outcome of a strategic partnership with the main manufacturers of telecommunications equipment and systems, and with centres of excellence in research at the most highly qualified national and international academic institutions. On the international level Telecom Italia has pledged a substantial commitment to the task of standardisation and has been involved from the beginning in the European Union Framework Programmes starting with the first pilot projects of the ESPRIT programme in 1983 and continuing as one the primary European collaborators in terms of both finance and the number of projects. 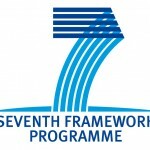 In the Seventh Framework Programme Telecom Italia is at present involved in 24 different Projects. Main research areas are: the evolution of mobile communication, from third generation mobile systems to a variety of overlapping wireless networks increasing access flexibility; the diffusion of broadband bandwidth, studying affective techno-economic solutions to deploy optical fibres; the dissemination of identification and localisation systems embedding tagging technologies within telecommunication functionality. Examples of specific research projects are the following: Wireless Sensor Network Applications, Context Awareness/Ambient Intelligence Platforms & Services, Innovative Services and Applications, Connected Car, 3D Multimedia Technologies, Software Defined Radio, e-Tourism. THE ENTERPRISE: Fluidtime is Austria’s leading provider of mobility information systems.The user-friendly information services for passengers and drivers also offer traffic data management and have been successfully installed by firms throughout Europe. The innovative power of the systems results from the successful combination of design, software and service. Fluidtime’s software solutions transform traffic data and information for public transport and individual travel into customer-friendly travel information services. Since 2004 partners and clients like ASFiNAG, ÖAMTC, ORF Ö3 Verkehrsredaktion, Porr, Sony, TUI ReiseCenter, Verkehrsverbund Stuttgart, VOR or Wiener Linien have trusted the company. The software solutions from Fluidtime transform traffic data and traffic information in the field of public transport and motorized private transport into user-friendly mobility information services. Other special fields include the development of internal solutions such as staff information, disruption information management, as well as traffic and travel information systems. The services are all provided for smartphones, tablets, mobile web, widgets and digital signage. DESIGN – SOFTWARE – SERVICE: High-quality concepts and user-friendly interfaces inspire both users and operators, supporting quick adoption of new solutions within the user group. Fluidtime focuses on specially developed software solutions. brivel, Fluidtime‘s software framework, is the modular basis for developing and operating customized solutions for clients and their business. The value of a service depends on the availability and quality of operation. Fluidtime ensures that the service works reliably around the clock, including ensuring the security of the service. A strong focus on user feedback allows for constant improvement to our services. CONSULTING: Gaining expertise from innovative partnerships and creating innovations with partners. With this motto, Fluidtime has already developed numerous projects in the field of mobility, advising transport operators about future trends, challenges and developments for the mobility market. 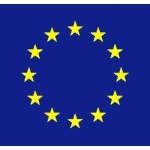 busuu.com is Europe’s largest online community for learning languages with more than 1.3 million users from all over the world. Users have free access to audio-visual online courses for learning Spanish, German, French, Italian, Portuguese, Russian and English. Users’ language skills can also be improved through direct interaction with other native speakers via an integrated video-chat application and peer-to-peer text corrections. Each busuu.com user is therefore a ‘tutor’ of their own mother tongue as well as a ‘student’ of a foreign language. The Foundation for Sustainable Development, Fundeso, is an independent, non-governmental organization (NGO) with no religious or political affiliation founded in 1995. In about fifteen years, and thanks to a great number of private and public donations, Fundeso has provided more than 40 million Euros to projects for integrated development and sustainability in 26 countries in Latin America, Africa, and Asia. At the same time, it has promoted educational and sensitizing projects in Spanish society about matters related to development, which prompted awareness programs specifically for immigrants. Since 2006 Fundeso manages the African-Hispanic Centre for Integration and Participation (CEPI) of Inmigrant People and a lot of projects focused on the integration of inmigration people in Spain: professional training, job search, legal and social advice and specific women advice. MISSION: To promote economic and social development of peoples of Asia, Africa, and Latin America by promoting the participation of local organizations as actors of social change. Also, to encourage spanish society to assume its role in building a more just and inclusive global community. VISION: To be a leading organization concerning the NGO sector, on the basis of the quality of its interventions and the social impact achieved through the projects implemented with civil society organizations, according to the principles of subsidiarity, responsibility and complementarity. DANAIDA is an Austrian non-profit organisation for female migrants, founded 1991. The women come from Chechnya, Afghanistan, Bosnia, Croatia, Turkey, Rumania, Egypt, Thailand, Iraq, Iran, Ghana, Nigeria, but also in a smaller number from other African, Asian, American and European countries. Some of them are refugees or have asked for asylum and are waiting for a decision, others came here because of war in their home countries, others were looking for a better economical situation for themselves and their families and others are married with an Austrian man. The reasons why the women came to Austria are different, but some of their problems are the same: isolation; little or no knowledge of the German language, the bureaucracy with work-permits, residency papers, nationality, etc; finding a job. DANAIDA offers German language training for female migrants including information that answers questions concerning the every day life of the women. Since 1995 we also offer literacy training for women, who did not have the chance to learn how to read or to write in their home countries or had learned another alphabet (for example: Arabic or Thai…). Accompanied to the courses, we offer free child care, because many of the women could not join our courses, if we didn’t have a baby- sitting service. On the other hand we offer a meeting point for women. One of our activities is to organise cooking groups where Austrian and foreign women can meet and get in contact while they are cooking and eating international food. Since 1997 DANAIDA is participating in European networking projects, it started with “Amigra” where we could expand our offers for those women who were allowed to work in Austria, but didn’t find jobs here. Parts of the project were German language training and guidance for the women who attended the program on the other hand we tried to elaborate new job possibilities for migrant women or to check up which further education the women would need to have better chances on the Austrian labour market. In the following years Danaida was part of the European Networking Projects: “Moli”, “Inpower” and “Bildung schlägt Funken”. Actually DANAIDA is part of the two National Networks “MIKA” and “Ways2go – MARIA”. Since 2000 we are also offering preschool groups for children with other mother tongues than German. The aims oft these learning-groups are to give children the possibility to learn the German language and to prepare for school. MRC has 11 fulltime paid staff (20 including part-timers) and approximately 40 volunteers who assist with aspects of service delivery and administration and, wherever possible, MRC helps them to retrain or gain qualifications. MRC is governed by 9 trustees from diverse backgrounds and skill base. The Migrants Resource Centre Online Centre provides ICT training to users of the Centre, from basic digital literacy, up to Microsoft qualifications. The Online Centre is a registered UK Online Centre partner and a Microsoft IT Academy. The Online Centre staff specialise in teaching ICT skills to people for whom English is not their first language, and in assisting users to access resources and information which will further their aims and objectives in making a life in the UK.